After Firefox 54 rolled out with its better support for multiprocessing, I thought I'd try switching back and resolved its slow startup problem. I had thought that I was already enjoying its speed improvements, but it turns out I wasn't because multiprocessing will be disabled if you have any addons that don't support it, which includes the Ubuntu modifications addon that Ubuntu has enabled out of the box. This tutorial will show you how to check if multiprocessing is enabled, and how to check which addons are preventing it if it is not. If however, you see something like 1/1, 2/2, or 3/3, then you are fine. 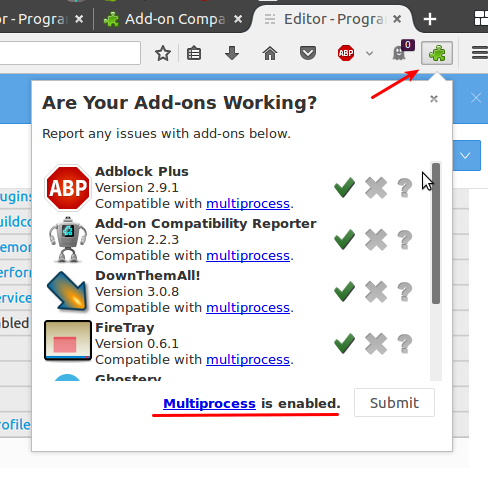 The easiest which addons are incompatible with multiprocessing is to install the Add-on Compatibility Reporter addon. Then click the little jigsaw piece in the top-right corner to see which addons are not compatible. This also handily lets you know if multiprocessing is enabled. 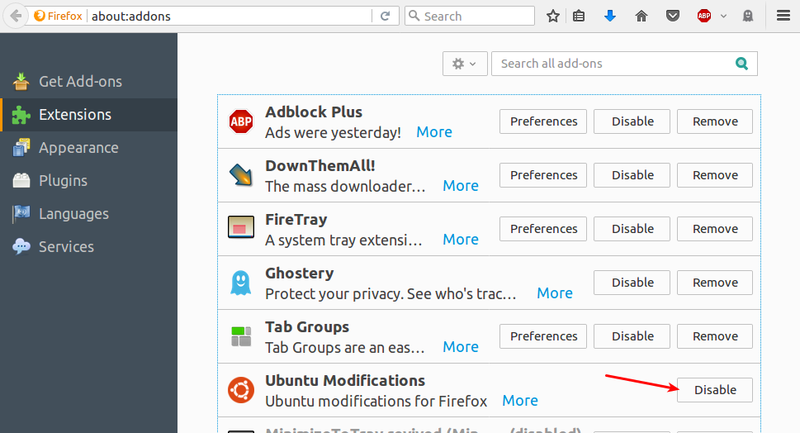 All of the addons I recommend, including Adblock Plus, support multiprocessing. 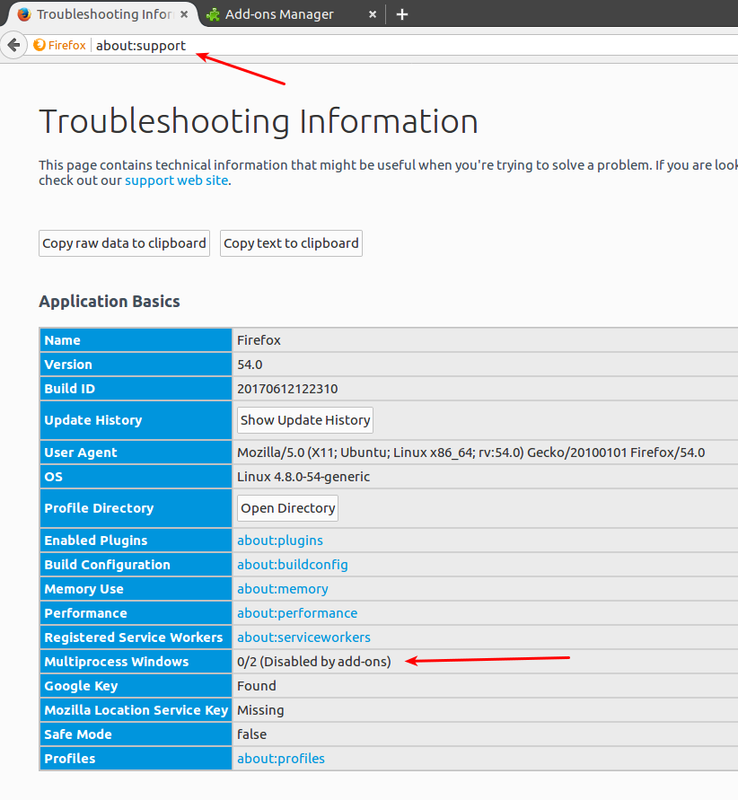 The steps below show how to disable the Ubuntu Modifications addon as it is a common one that blocks multiprocessing support but the steps are applicable to other addons. 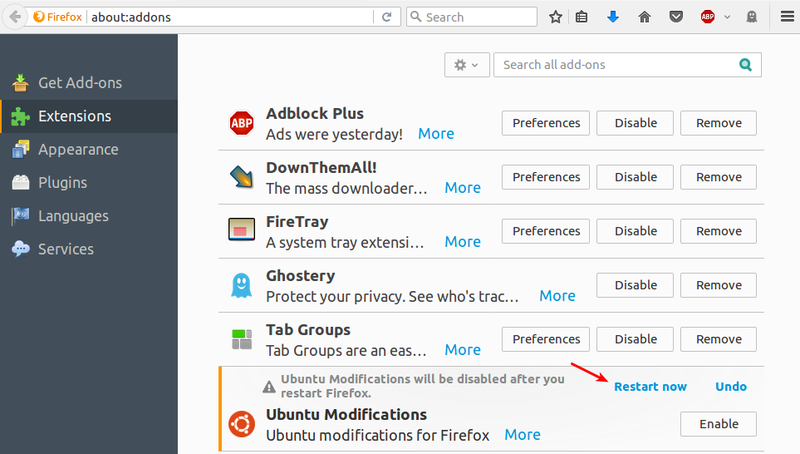 Go to tools > addons (or about:addons in your url) and click Disable on the Ubuntu Modifications addon. Then click on Restart now.